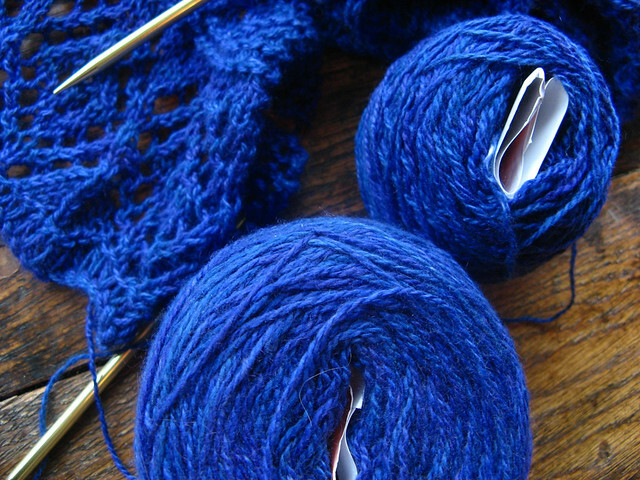 After several months of a pretty severe knitting slump, I've found love again. 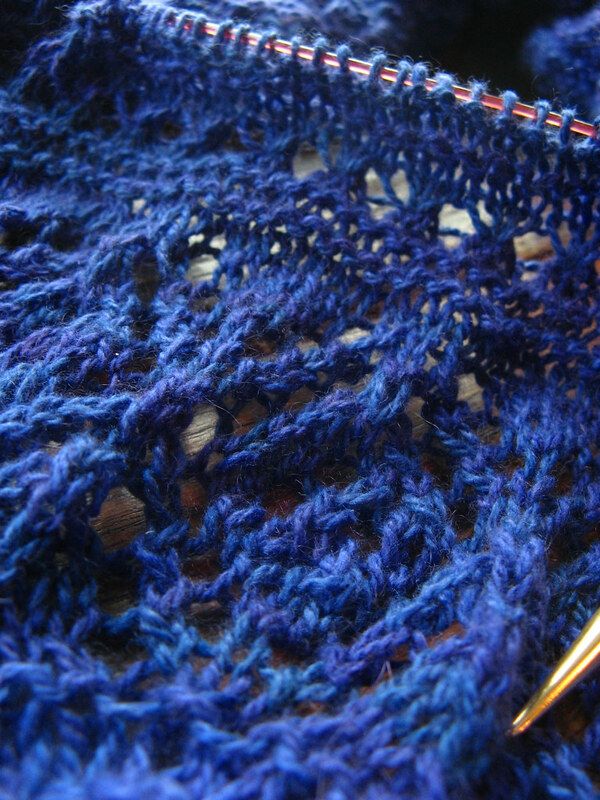 The yarn: Jade Sapphire 2-Ply silk/cashmere blend in colorway Hydrangea, bought in Half Moon Bay while yarn touring northern California with my mom. 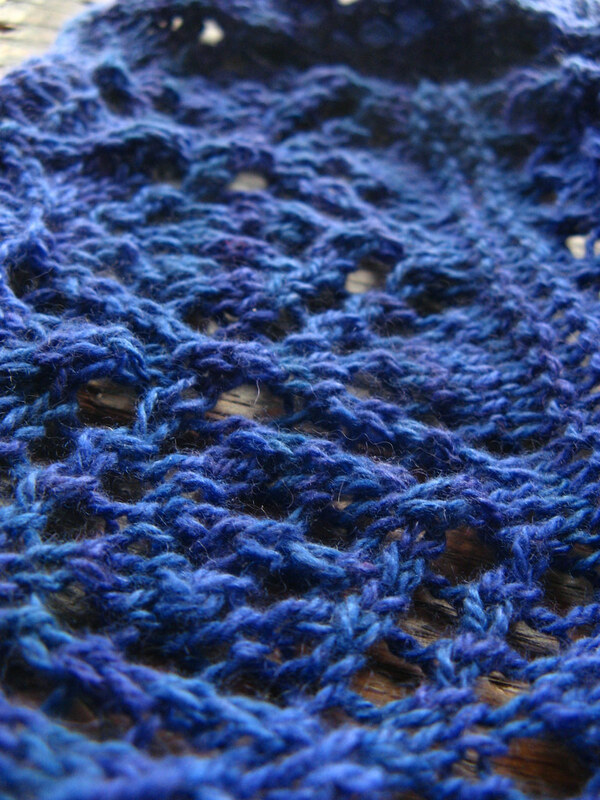 The pattern: Miralda's Triangular Shawl, from Knitted Lace of Estonia. Perhaps one of the most beautiful patterns ever committed to paper. 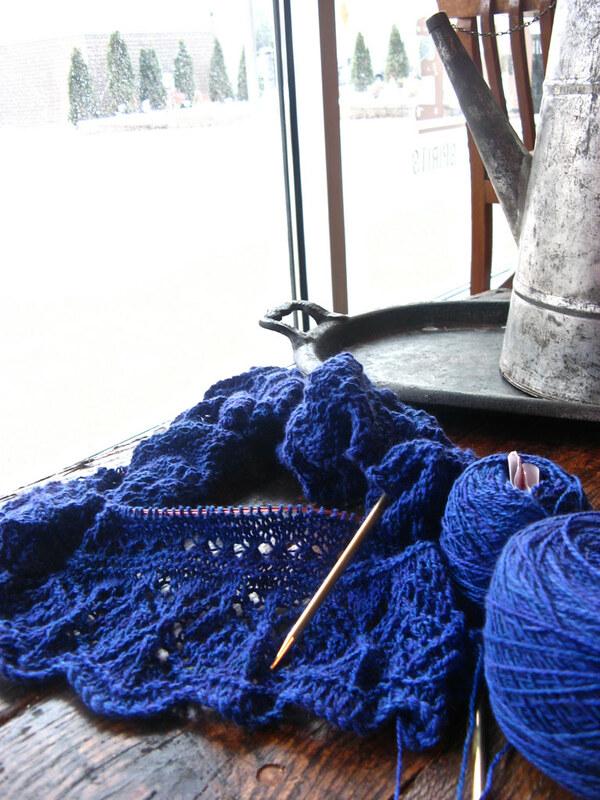 Knit during in-between moments amidst coffee, translating, and working the desk at the student union.